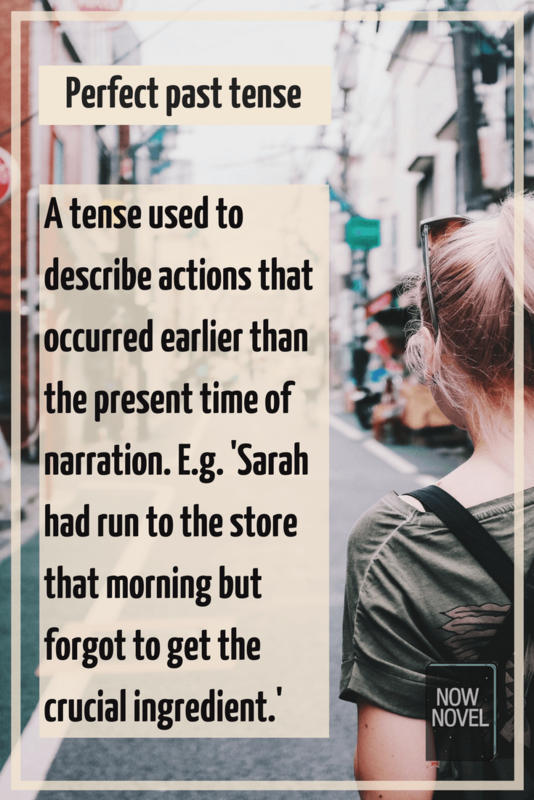 Past (simple) tense: Sarah ran to the store. Present (simple) tense: Sarah runs to the store. Past perfect: Sarah had run to the store. Present perfect: Sarah has run to the store. Future perfect: Sarah will have run to the store. Sarah had run to the store many times uneventfully so she wasn’t at all prepared for what she saw that morning. Sarah will have run to the store by the time you get here so we won’t be late. You run your usual route to the store, but as you round the corner you come upon a disturbing sight. This tense choice is smart for Calvino’s novel since it increases the puzzling nature of the story. In If on a winter’s night a traveler, you, the reader, are a character who buys Calvino’s novel If on a winter’s night a traveler, only to discover that there are pages missing. When you attempt to return it, you get sent on a wild goose chase after the book you want. A muffled shot. He sits up in bed, tensed and listening. Can’t hear much other than the wind scraping branches along the gutter. Because stories show us chains and sequences of events, often we need to jump back and forth between earlier and present scenes and times. This is especially true in novels where characters’ memories form a crucial part of the narrative. Sarah runs her usual route to the store. As she turned the corner, she came upon a disturbing scene. This is wrong because the verbs do not consistently use the same tense, even though it is clear (from context) that Sarah’s run is a continuous action in a single scene. In short, make sure there are clear breaks between entire sections set in different narrative references. That morning, she had run her usual route to the store. As she turned the corner, she had come upon a disturbing scene. Apart from the glass and metal sprayed across the road like some outgoing tide’s deposit, there were what looked like two stretchers, mostly eclipsed from view by a swarm of emergency workers. Now, safely home, she decided to lie down, all the while trying to get that scene out of her mind. Mixing the tenses can help to show the cause and effect of interlocking events. The use of the past perfect to describe the scene of an accident in the example above is effective because the past perfect shows what is already complete. It gives it an irrevocable quality, the quality of a haunting, living-on-in-memory event. Finished, but not finished in the character’s mind’s eye. In addition to simple and perfect tenses, there are different ‘moods’ that show verbs as hypothetical or possible actions. 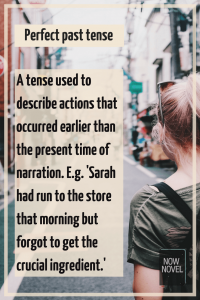 In addition to the indicative mood (‘she runs to the store’) there is also the subjunctive mood (‘If she runs to the store’) and the potential mood (‘she may run to the store’). Future perfect tense: If she should have run to the store…. Present tense: She may run to the store. Present perfect tense: She may have run to the store. Past perfect: She might have run to the store. In each of these examples, the action is a possibility and the mood (using the various forms of ‘may’) shows this. These verb moods in conjunction with tense are useful. They help us describe situations in which a narrator or character does not have full knowledge of events, or is wondering how events might pan out. The effect is of a character describing the defining experiences before another event (before buying an even more expensive item of clothing, for example). For example, you could write ‘Before the lavish suit, the only expensive thing…’ before the paragraph. 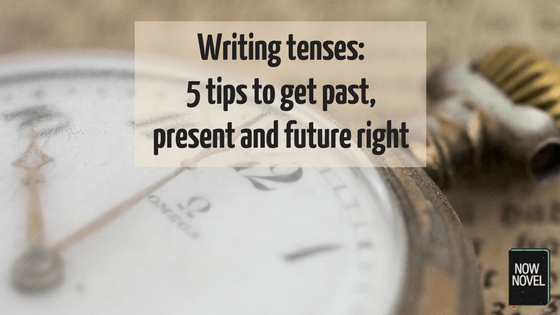 To perfect writing tenses, make your own exercises and practice rewriting extracts from your story in each tense to see the changing effect this has on your narrative. Do you need feedback on your use of tense in a story? 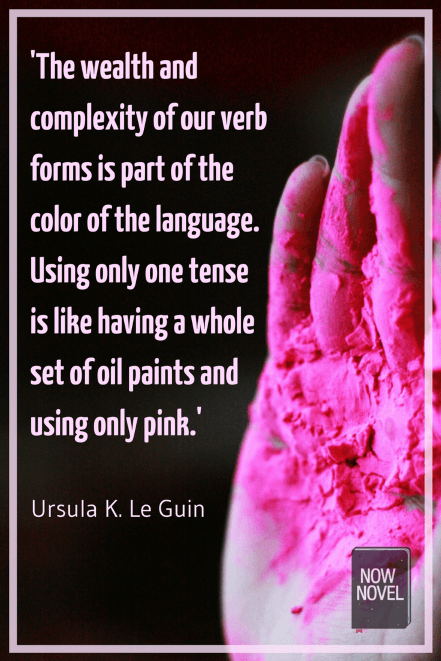 Join Now Novel and get helpful critiques that will help you improve your use of tense.